Nice! I especially like the message written, it really does sounds like something that Coco will say. Thank you, I'm glad it looks that way! I was considering making it SO lengthy that it wouldn't fit on the image, but composition-wise that wouldn't look cute i guess. May I ask, if I may, how the composition of Coco's message would turn out if there is no limitations? I have always like her rambles, they are just very nice and funny! 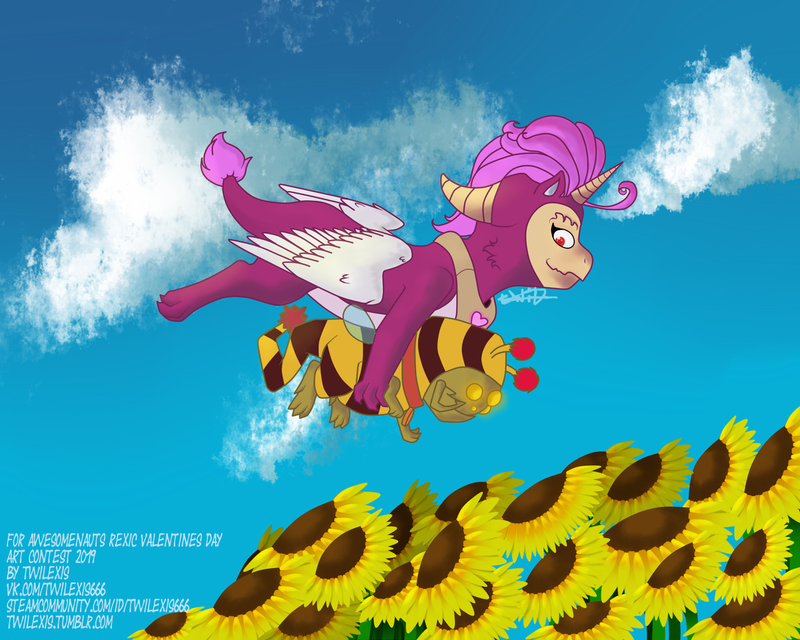 Post subject: Re: Rexic Valentine's Day Art Contest! Greetings, this is my contest entry! The idea made me laugh, but you do not have to! Who needs love if you can have technology? Scratch Valentine's Day! Do you know any other Medic who could fall in love with Voltar? He deserves mass of sweetness too! The featured characters are Medic from Team Fortress 2 and Mercy from Overwatch. I hope you like it and happy Valentine´s Day! I've drawn Chucho drawing Co... er... Ramona?